New York Cupcakes has enjoyed a loyal following since opening their doors at Crossroads in August 2008. A popular stop for mothers and daughters, (and anyone with a sweet tooth,) the store proclaims cheeriness from its artfully decorated cupcakes to the happy pink interior. Owner, Lisa Waxman Johnson, said New York Cupcakes is her dream come true. 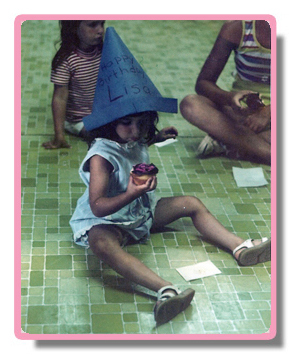 The dream began when her mom surprised her with a cupcake birthday party at preschool, a memory that sticks with Lisa. Then, throughout her school years and into her retail career, Lisa baked cupcakes, experimented with recipes and dreamed of owning a business where she could create warm and memorable experiences for customers. One day Lisa came upon New York Cupcakes, a privately owned business, in Bellevue Square. She told a friend that she wished the business were for sale. That, Lisa was certain, was the business she wanted to own. Surprisingly, New York Cupcakes did indeed become available for sale and Lisa became the proud new owner. When her lease expired at Bellevue Square, Lisa wanted to relocate in a place where she could make a more direct connection to the people in the community.